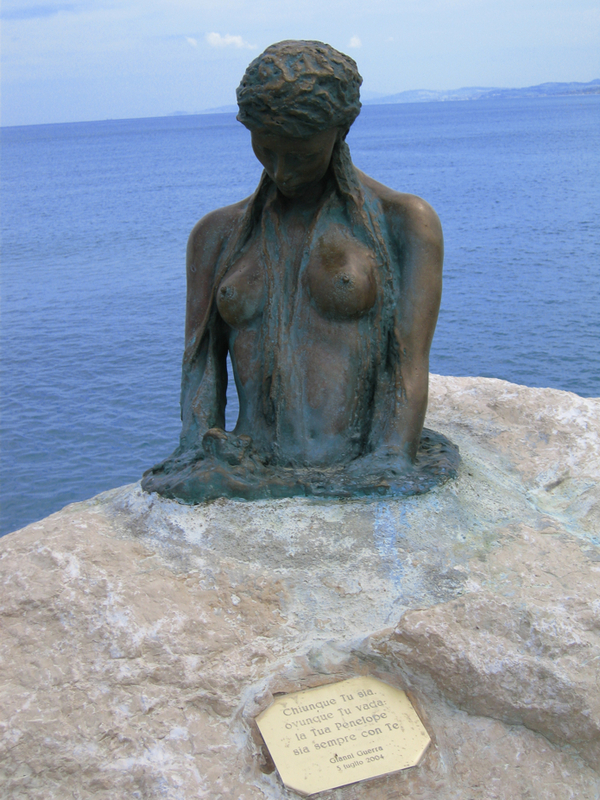 The statue is known as Penelope of Senigallia, but is also popularly referred to as ‘the little mermaid of Senigallia’. 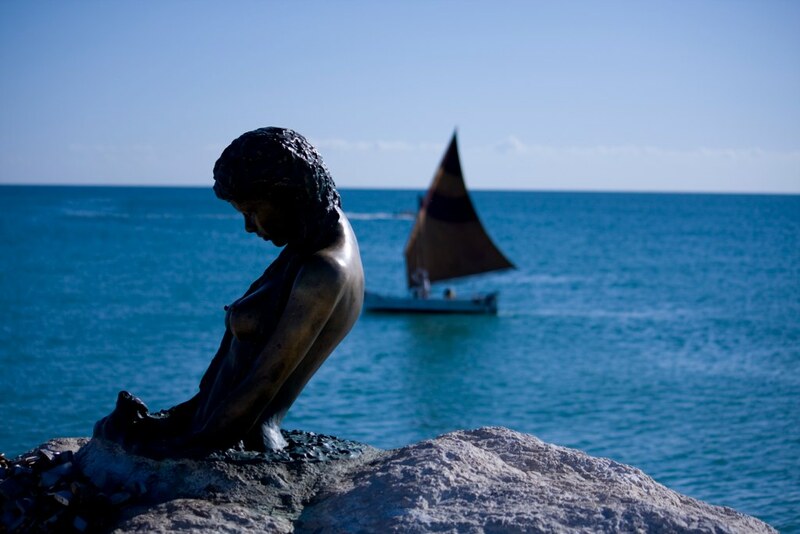 She is often compared to Copenhagen’s famous mermaid statue by Edvard Eriksen, representing The Little Mermaid in Hans Christian Andersen’s fairy tale. Although Penelope is not really a mermaid, one could easily be forgiven for assuming that she is, apparently emerging from water at the end of the pier. 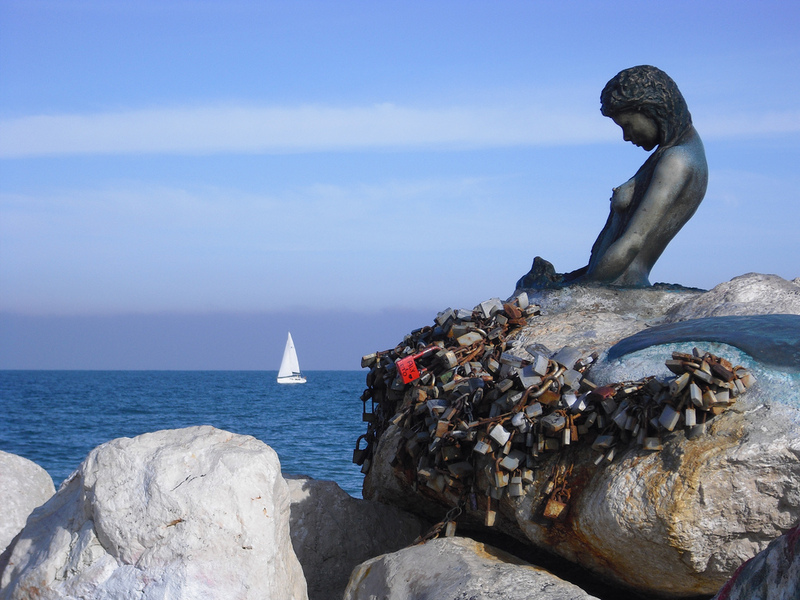 Just as The Little Mermaid is a symbol of Denmark and Copenhagen, Penelope has become a symbol of Senigallia. 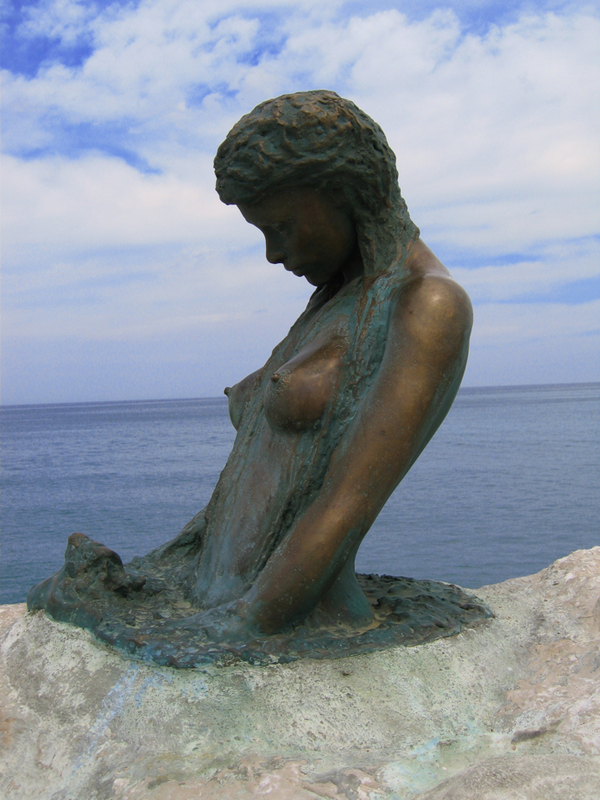 The statue was created by Gianni Guerro and was inaugurated as his gift to the city on July 3, 2004. She represents Penelope (wife of Homer’s Odysseus), who longs for and waits for her husband’s return for 20 years. By extension, the statue represents all women longing and waiting for their lover’s return. 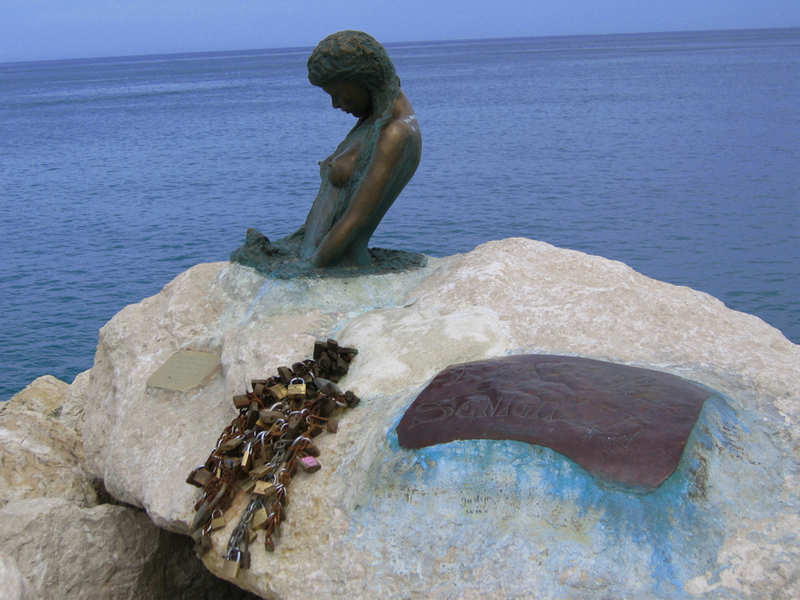 As a symbol of undying love, the pier with the statue of Penelope is a very popular spot for weddings. Also, there are numerous chains with padlocks around Penelope, fastened here by couples in love – some of whom surely will come back here for their weddings. Penelope of Senigallia. Photo © by Andrea Sartorati. Additional images: If you would like to help with additional photographs of this sculpture, please contact us. Photos must be yours, preferably 10 megapixel or better.